Not surprisingly the debate tends to focus on the benefits of changing the clocks in the autumn, so making the most of the shorter days. It’s said to save energy, encourage outdoor leisure activity and be good for economic productivity. However those working outside, preferring lighter mornings, say that these benefits are unproven, particularly the economic ones. Interestingly, people often refer to it having started during the First World War – so it must be a good thing – helping conserve valuable energy resources. Not only that, but it also has big safety benefits, especially for children going to school in the winter mornings. But is this really the case? Does this biannual change have other effects which are not so apparent? As often happens, a little research paints a rather different picture. So let’s dispel a few of the most popular myths, before giving a different perspective on this topic. The idea of changing the clocks was first proposed in 1895 by an englishman, George Vernon Hudson, who had two passions in his life. Astronomy and collecting insects. Since he was up at night pursuing the former, it’s no surprise that he wanted to extend the daylight hours as far as possible, to allow him to also pursue the latter. As all good Victorian free thinkers did in those days (! ), he outlined his proposals in a paper and put it forward for debate at his local philosophical society, The Wellington Philosophical society. Although his proposals didn’t go any further, the seed was sown. Only a decade later – in 1905 – the idea was resurrected by another englishman, William Willett. A builder by trade, his idea was rather more complicated. If you find changing the time by an hour twice a year confusing, prepare to be completely flummoxed! Willett’s proposal was to change the clocks by 80 minutes each spring and autumn. This would be done in 20 minute increments, on each of the four Sundays in April and September, presumably after going to church. Sadly, we haven’t been able to find out the logic behind these proposals. However it did lead to a Daylight Saving Bill being presented to parliament in 1908 and examined by select committee, although it didn’t become law at that stage. It took another decade – and the start of World War I – for it to finally reach the statue books in May 1916, as part of the war effort, aimed at saving fuel. As an aside, Germany became the first country to enact similar legislation just before this, in April 2016. Ever since that time the debate on the benefits of this biannual change has continued. Many variants have been proposed over the years, including double summer time – or putting the clocks forward two hours in the spring. So what about the myths we mentioned earlier, the safety benefits and conservation of fuel? Interestingly, the benefits aren’t as clear cut as they first appear. Research into the safety benefits in the early 1970’s did find a fall in road accidents in the UK as a result of changing the clocks. However, this also coincided with the introduction of new drink driving laws, making it hard to quantify the impact each one had on accidents. Further studies since then have reached a similar conclusion – that there seems to be a reduction in road accidents, although it’s not as great as researchers had expected. Similarly, the impact on energy use is different from that which researchers initially expected, and isn’t easy to call. While lighter mornings do reduce the demand for energy; most people are still up and about in the darker evenings, using both electricity and heating. Interestingly, a study from Indiana in 2008 found that more energy, rather than less, was used in people’s homes after daylight saving time was introduced in 2006. And this was without taking into account any change in the use of cars as a result. In addition the American Chamber of Commerce – who supports extending daylight hours – says that those working indoors are more likely to fill up their car and go to sporting events or shopping in the lighter evenings. If it’s good for business, many would argue that we must be using more resources as a result! From only a cursory look at this issue, it’s clear that there’s far more to the biannual changing of the clocks than first meets the eye. Big business – and in particular energy suppliers – certainly benefit from the clocks changing, often in quite unanticipated ways. However, what about the hidden ways these changes effect on our health? Humans are designed to be active during the day. Those living in close connection to nature are traditionally “up with the lark and to bed with the owl.” Ask anyone working outside and they’ll all say that the first few hours of light are the most important of the day. From a health perspective, our natural circadian rhythms are designed to wake us up just before dawn breaks, ready to start the day as soon as sufficient light appears. We function at our optimum level during the time it takes the sun to reach its zenith, reducing as the sun starts to fall in the sky. By the time it starts to get dark, our bodies have already begun to wind down, ready to rest and recuperate during the dark hours. 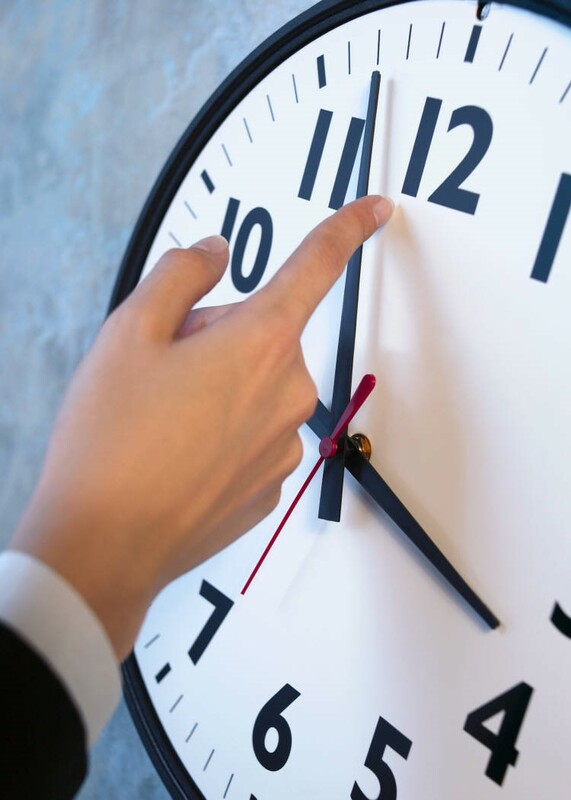 Many people have likened these clock changes to ongoing – and low grade – jet lag. Rather than feeling the effects for a few days – as our bodies adjust to a new time zone – we’re permanently a little out of synch with our natural rhythms. This is certainly how those with SAD describe feeling, so perhaps isn’t too far from the truth. Studies of those working shifts – or dealing with ongoing sleep problems – have repeatedly shown that disruption of the day / night cycle can have serious health consequences. As an aside, this is one of the many reasons why long term space flights, with the complete absence of natural sunlight, have proved unfeasible to date. After only short periods in space, it was found that the natural rhythms of the body were affected, with the endocrine system being hardest hit. One of the first signs to be noticed was infertility in women – and reduced sperm levels in men. This begs the question as to whether our reliance on artificial light, as more and more time is spent indoors, is playing a part in the current wave of fertility problems? While no one would want to forego the benefits of extending the day as far as possible – or the use of artificial light – particularly in those long winter months, it’s important that all the consequences of doing so are recognised. As we become more and more divorced from our natural rhythms, it’s important that we recognise that there are always consequences from so doing. This may be an unpalatable truth – especially where they may not be seen for many years – but it’s important that we take steps to address the consequences of our increasingly unnatural lifestyles. Spending time outdoors each day – regardless of the weather – is crucial to good health and setting our natural circadian rhythms. Simply spending 20 to 30 minutes outside every day, together with the use of SAD light bulbs – simulating natural wavelength light – makes a huge difference to people with “the Winter Blues”. And could to us all too. Similarly, recognising that we are naturally more alert and energetic in the spring / summer months and less so later in the year. The darker months are traditionally a time of recuperation and reflection – both physically and mentally – ready for the longer days ahead. If you’re in any doubt, talk to anyone interested in gardening. The colder months are a time to reflect on the previous year and prepare for the next one; preferably in a nice warm potting shed with a cup of tea and a seed catalogue! The serious work doesn’t begin in earnest until the days start to lengthen and summer beckons. While writing this post, it’s become apparent that there is so much more that can be said on how far we have become divorced from the natural world and its rhythms. And the hidden perils of so doing. So next week we’ll continue with this theme, looking at how we’ve lost touch with the natural rhythms of the year. Of enjoying each season for its own sake, rather than spending our time looking forwards – or backwards – to something else; which somehow always seems “better” than where we currently are. And the consequences of this – particularly to our health and happiness – many of which are only now becoming clear to us.